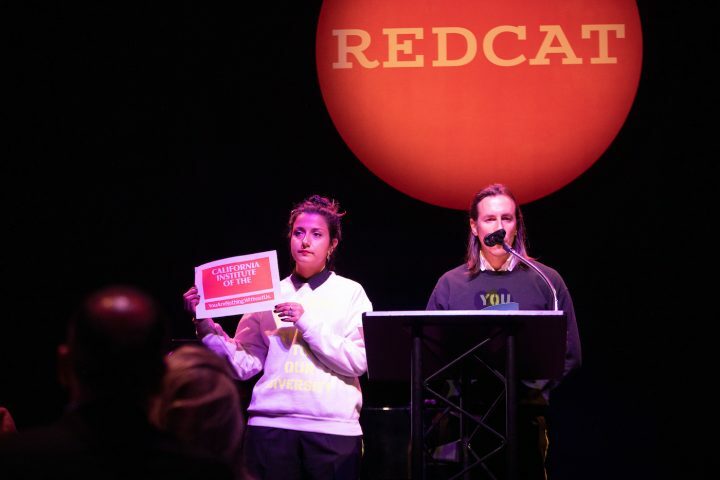 Student organizers closed out the annual CalArts REDCAT Gala by asking for contributions from deep-pocketed donors. LOS ANGELES — Students at the California Institute of the Arts (CalArts) continue to push back against rising tuition. 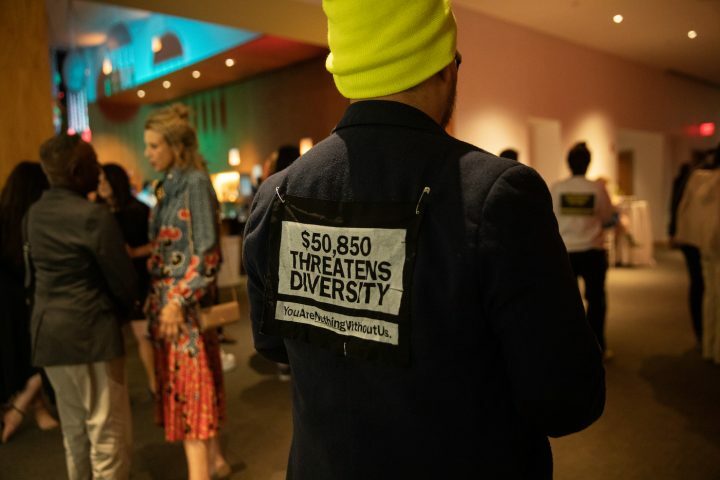 Following a silent protest that took place outside Hauser & Wirth, where the Board of Trustees voted on a 4.5% tuition increase that will be part of the institution’s 2019-20 budget, student organizers closed out the annual CalArts REDCAT Gala on Saturday, March 16 by asking for contributions from deep-pocketed donors. 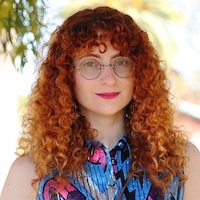 “While we are honoring a distinguished alumni tonight, we remind you that there are future honorees in their studios right now at CalArts that will not have the opportunity to graduate or receive this award because of the cost of attendance,” MFA student Alia Ali said during the gala’s closing remarks. President Ravi S. Rajan had just awarded a distinguished alumni award to the animator and director Pete Docter, who is currently the chief creative officer at Pixar. Ali and fellow MFA classmate Andrew Siedenburg took turns reading a heartfelt letter to the crowd. After wrapping up their speech to a standing ovation, the students distributed pledge cards to the guests. In an effort to show support, President Rajan’s office helped design the cards and will direct all the funds to student scholarships. James Wolken, Executive Director of Marketing at CalArts, says that they raised roughly $20,000 that night. “I was so moved I ended up donating,” said the artist Charles Gaines, who is also a CalArts professor, in an interview with Hyperallergic at the gala. Wolken confirms that operating expenses are exceeding revenue by roughly three million dollars. Ali and Siedenburg have honed in on that difference and are determined to raise the seven figures through grassroots organizing. 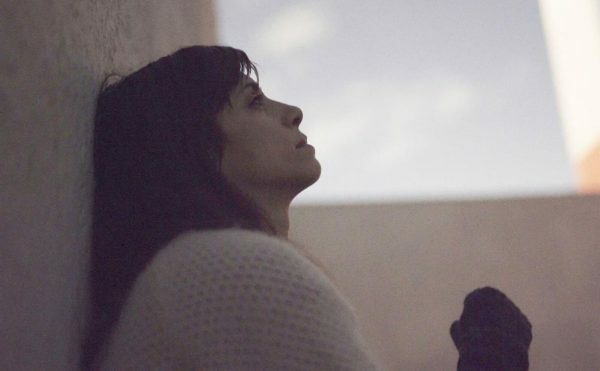 However, the CalArts students, while proud of their organizing efforts, feel that their diligent work shouldn’t be necessary in the first place. Their broader concern is that the institute’s fundraising tactics should not be relying on student labor. Even if the students significantly chip away at the three million gap, for the past decade, tuition has increased every year. And beyond the sticker price, the actual estimated cost of attendance, which includes room and board, technology fees, books and supplies, can add more than $10,000. According to Wolken, students graduate with an average debt of $24,350, which is roughly $2,000 below the Department of Education’s estimated national average. Around 60% of students walk away without any federal student loan debt, but international students, who cannot take out federal loans, or those who need additional financial assistance may resort to private loan companies that often saddle them with higher interest rates. 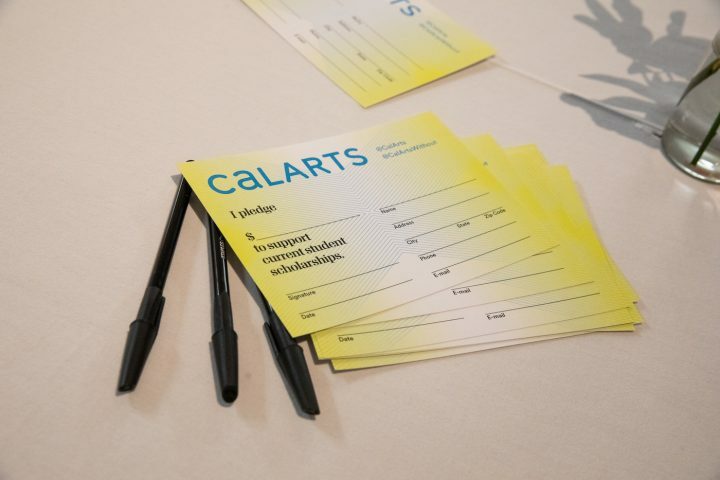 Though the administration raised tuition in spite of the student protest, Rajan has invited students into proceeding fiscal conversations, and the CalArts community has noticed.